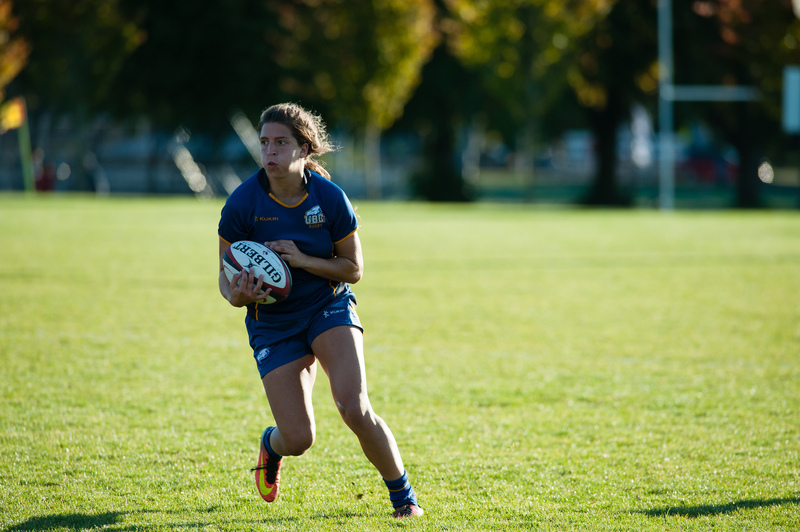 With their season on the line, the UBC Thunderbirds women’s rugby team battled the Calgary Dinos on Friday evening. Though they were ultimately defeated 27-22, the close score-line means that the team will still qualify for Canada West playoffs. “I’m actually quite proud of their performance. In the second-half, they came out firing. This is a loss, obviously, but we’re within seven points, which is a bonus. So that speaks loudly for us,” T-Birds head coach Maria Gallo remarked after the game. 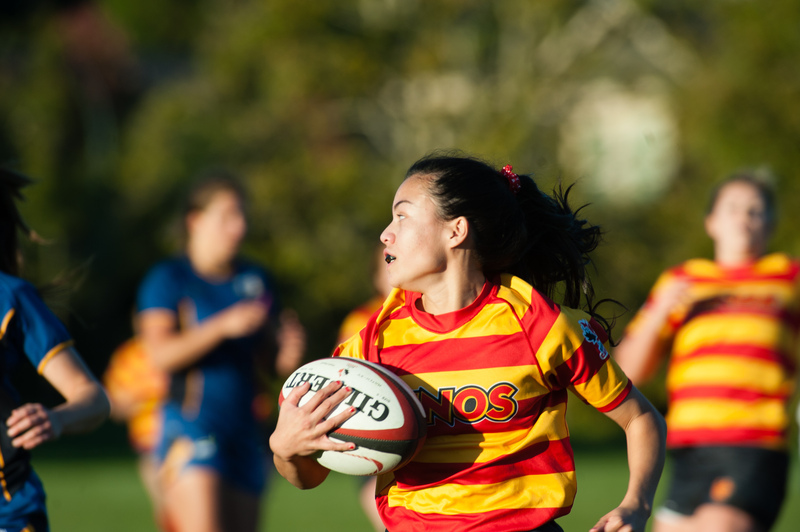 The start of the game was rough for the ’Birds — the Dinos struck in the 4th minute, when some poor tackling by UBC allowed Calgary winger Emmanuella Anye to speed into the try zone. This was followed by a 9th minute Calgary try, this time courtesy of Cassidy Jones. Four minutes later, Dinos winger Samantha May added another five points to the Dinos’ total. After fifteen minutes, the score was 17-0 in favour of the visitors. With that, the Thunderbirds moved to slow the pace of the game down, limit Calgary’s explosive attack and create more set plays for their own back-line. Just as things were starting to pick up for the home side, UBC captain Mackenzie Carson was hit high, causing her to leave the game prematurely. Not a group to give up, the T-Birds continued to pound the ball. After a few phases at the tryline, fly-half Alayna Scramstad jumped a gap between the uprights. After a conversion by winger Brooke Bazian, the score was 17-7 at the half. The Thunderbirds came out swinging in the second. In the 43rd, Bazian dissected the Dinos defence from midfield, scoring a 50 metre try. She subsequently converted her own play, cutting the deficit to three points. Calgary — in search of some momentum — got back on the board in the 51st. The Dinos' Berlyn Seselha took the ball from the scrum and used her size to plow through two UBC defenders enroute to the try zone. 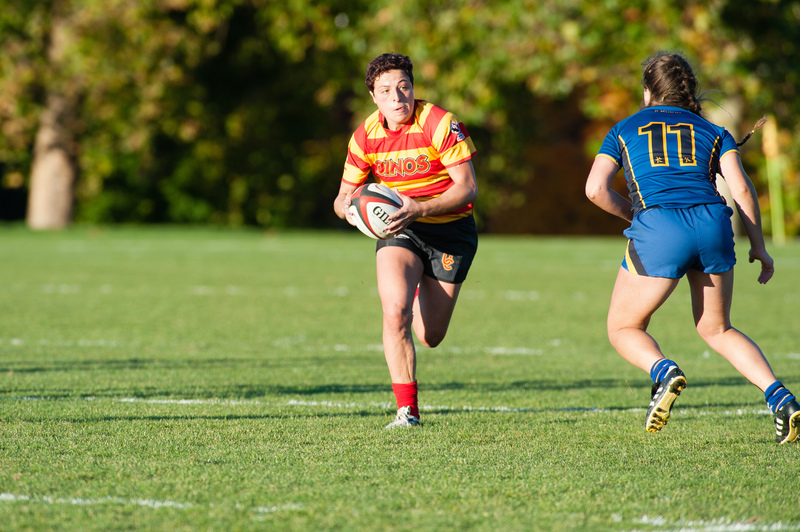 Her try highlighted the T-Birds’ main weakness in the match: lack of size and speed. In response, the home squad marched right back to the Dinos 22 metre line. From there, UBC’s Lyric Atchison proceeded to run it in from 20 metres after wearing out Calgary’s defence with 10 phases. The ensuing conversion was just short, leaving it a three-point game at 22-19 for the visitors. UBC excitement wouldn’t last long. In the 63rd, Dinos scrum half Charity Corcilles-Herring outran the ’Birds defence on the left wing to up Calgary’s margins. The tricky angle of conversion meant Calgary walked away with five out of seven possible points. Following the theme of the match, the T-Birds went straight back to work, attacking the Dinos’ territory. The series ended with a 68th minute Bazian penalty goal, cutting the score to 27-22. 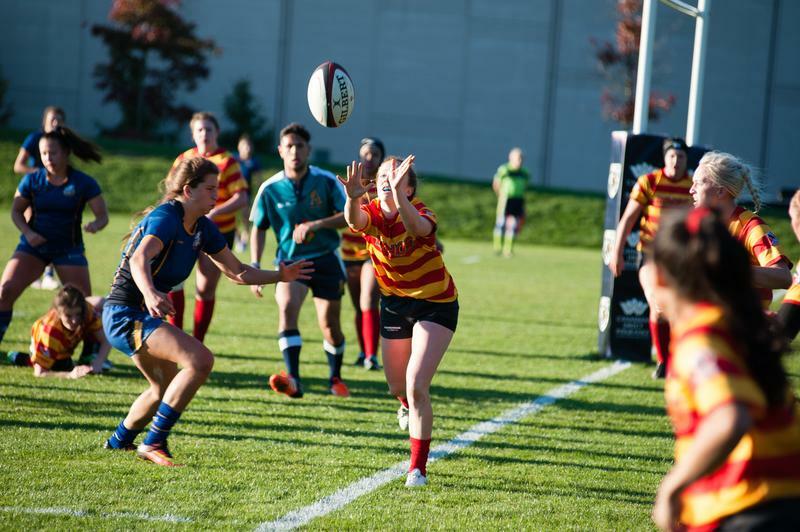 Unfortunately for UBC, a hands-in-the-ruck penalty killed the momentum late in the half, ending an electrifying match at 27-22 in favour of Calgary. The silver-lining of the match was that — although considered a ‘must win’ game for UBC — the T-Birds still qualify for the Canada West Final Four with a bonus point (awarded to teams for losing by less than seven points). “There’s nervous excitement now,” Gallo said, as the team looks ahead to playoffs.